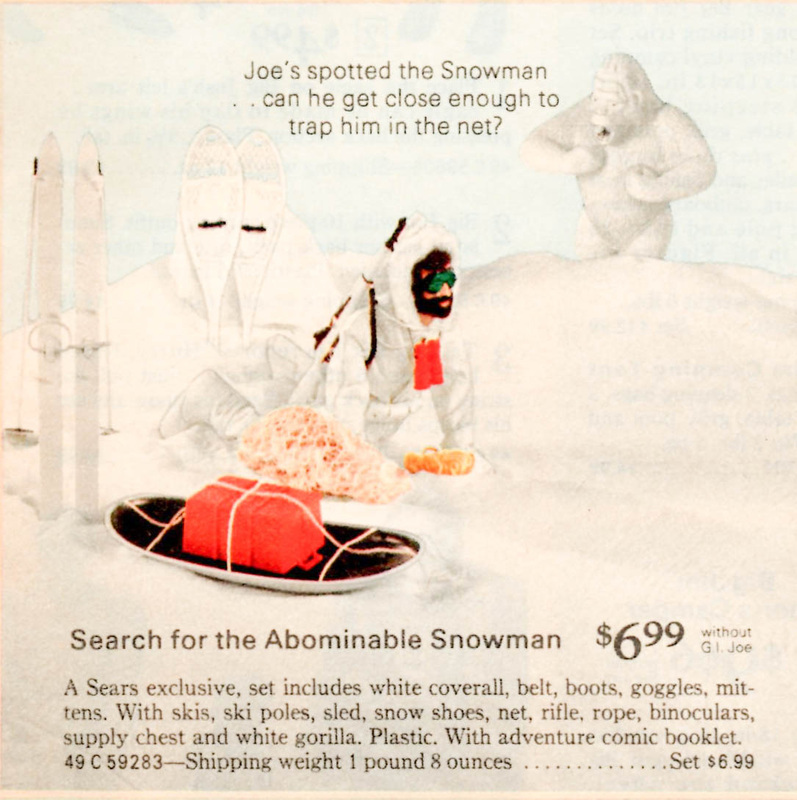 The Pygmy Gorilla's arctic cousin makes his appearance in the 1973 Sears exclusive Search for the Abominable Snowman (7430.16). The set recycled more than the gorilla mold, including skis and poles (with some modifications) from the military era Ski Patrol & Mountain Troops sets, the chest from Fight for Survival, and an unpainted version of the sled from Deep Freeze. The goggles are a new version with tabs on the side and a rubber strap, a style borrowed from Joe's British cousin Action Man by licensee Palitoy. The box comes in two versions, one with and one without the phrase "For Ages 4-12." Below, the late issue rubber strap goggles found in the set. Right, a very rare variation of the set with the jumpsuit sewn of tan fabric. See a spin of it below. 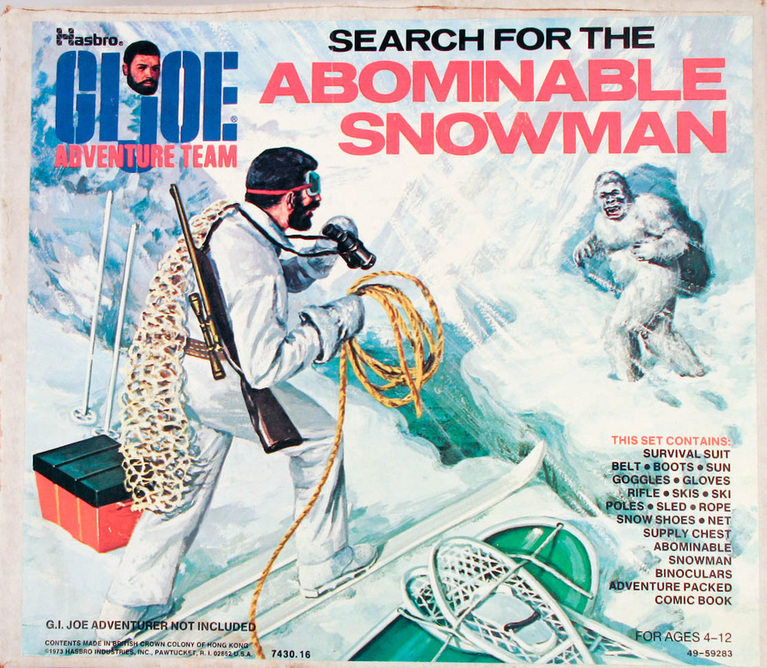 A comparison of the original Ski Patrol ski binding and pole to the Abominable Snowman versions. The 1965 originals are on the left. The later ski lacks the metal binding and only has molded plastic tabs to hold a rubber band as a binding. Sears' advertisement for the set in 1973.